Your diet should be unique to you, and your blood type may help determine the best foods for your health. For instance, if your blood type is A positive, it could be beneficial to follow the popular A positive blood type diet. Knowing your blood type is important for understanding how your body reacts to food, your reaction to stress, your susceptibility to disease, and more. Your blood contains a distinct biochemical makeup. There are four main blood types—A, B, AB, or O. Each blood type plays a big role in determining your ideal diet, according to naturopathic doctor Peter D’Adamo. D’Adamo proposed the blood type diet in his New York Times best-selling books Eat Right 4 Your Type and Live Right for Your Type. D’Adamo explains how to eat right for your specific blood type in his books; however, it is important to note that the blood type diet is lacking scientific evidence. In this article, I have singled out the blood type A diet, which includes people with both A positive blood type and A negative blood type. I will detail how the diet for A positive blood type works, including which foods to eat and avoid. This guide to the type A blood type diet will also detail the research on the blood type diet. How does the A positive blood type diet work? Basically, a person’s blood type is named after the blood type antigen, or surface marker, they possess on their red blood cells. An antigen, in simplest terms, is any substance that triggers a response from your body’s immune system. Blood type A will form when the O antigen or fucose, and another sugar called N-acetyl-galactosamine combine. The type A blood is also called the agrarian, or the cultivator. The type A blood type was established from the need to fully utilize nutrients from carbohydrates. This can also be observed in the digestive structure of someone with type A blood. There are also particular factors that make it difficult for a type A blood individual to digest and metabolize animal protein and fat. This will include when there are low levels of hydrochloric acid in the stomach, low levels of intestinal alkaline phosphatase, and high intestinal disaccharide digestive enzyme levels. D’Adamo notes that people with type A blood should consume a plant-based diet that is completely free from red meat. The blood type A diet closely resembles a vegetarian diet. Blood type A individuals should also consume foods as fresh and organic as possible. Although the blood type A diet is not a weight loss plan, losing weight is a natural side effect of the diet. Essentially, once you remove meat from the diet, you will increase your energy and lose weight. Blood type A diet foods may also boost immunity and decrease the overall risk of disease, especially type 1 diabetes, anemia, cancer, heart disease, and liver and gallbladders disorders. A healthy lifestyle is vital for the A positive blood type diet. Type A people naturally have high levels of the stress hormone cortisol. As a result, stress will manifest in the form of brain fog during the daytime, muscle loss, weight gain, increased blood thickening, and disturbed sleep. Stress in type A blood people can also lead to insulin resistance, hypothyroidism, and OCD (obsessive-compulsive disorder). Although people with type A blood are best on a vegetarian diet, that can eat certain animal products, such as poultry, fish, free-range eggs, and some dairy. Poultry will include turkey, chicken, and Cornish hens. Examples of fish and seafood will include carp, cod, pickerel, red snapper, trout, red snapper, monkfish, grouper, sardines, yellow or silver perch, white fish, and salmon. Digesting dairy is thought to be difficult for the type A blood type; however, certain dairy types may be tolerable, including goat milk, yogurt, kefir, and cheeses like ricotta, feta, and mozzarella. Most grains are well-tolerated among type A blood individuals; however, the most beneficial grains include amaranth, buckwheat, soba noodles, quinoa, spelt, rice, oats, rye, corn, kamut, millet, barley flakes, and couscous. Each grain can be eaten once or twice per week. Many legumes are said to be well-tolerated on the type A blood type diet. The best legumes on the type A blood diet include lentils, black-eyed peas, red soy, pinto beans, black beans, green black, and adzuki beans. Healthy fats and oils are also beneficial for the type A blood type diet, and the most beneficial ones include flaxseed oil, olive oil, and sometimes cod liver oil. Type A blood individuals can enjoy certain fruits, including apricots, cherries, pineapples, lemon, grapefruit, figs, prunes, plums, and most berries, especially blueberries, blackberries, cranberries, and boysenberries. Many vegetables are well-suited to the type A blood type diet, including kale, collard greens, mustard greens, carrots, broccoli, onions, garlic, pumpkin, spinach, Swiss chard, dandelion, artichoke, chicory, horseradish, leek, romaine, okra, parsley, alfalfa, sprouts, and turnip. Nuts and seeds are also healthy fats that benefit the blood type A diet. Beneficial nuts and seeds include pine nuts, almonds, walnuts, pumpkin seeds, flaxseeds, sunflower seeds, pecans, and macadamia nuts. Spices and condiments thought to benefit the type A blood individual include ginger, garlic, soy sauce, miso, tamari, and blackstrap molasses. Teas that include slippery elm, ginger, Echinacea, burdock, alfalfa, hawthorn, aloe, or green tea are welcomed on the type A blood type diet. Coffee and red wine are also acceptable. Which foods should you avoid on the blood type A diet? The following is a list of the animal proteins, grains, legumes, fats and oils, vegetables, fruit, sweeteners, spices and condiments, herbs, and beverages to avoid in detail. The type A blood type diet recommends people avoid meats, including beef, duck, lamb, pork, veal, venison, goose, ham, bacon, quail, and pheasant. Seafood best avoided include caviar, conch, clam, catfish, bass, scallops, lobster, shrimp, crayfish, crab, eel, octopus, herring, prawns, flounder, sole, halibut, haddock, oyster, shad, hake, mussels, frog, and turtle. Most dairy, milks, ice creams, and whipped cream should also be avoided. While most grains are tolerated on the type A blood diet, some that should be avoided include granola, cream of wheat, farina, grape nuts, wheat germ, seven grain, wheat bran, durum wheat, and shredded wheat. Bread products that should be avoided include English muffins, matzos, pumpernickel, wheat bran muffins, white and whole-wheat flour, breads like multi-grain and whole-wheat breads, and pastas. Some legumes should also be avoided on the type A blood type diet, including red beans, tamarind, navy beans, lima beans, kidney beans, garbanzo beans, and copper beans. Fats and oils best avoided on the type A blood type diet include canola oil, corn oil, coconut oil, palm oil, cottonseed oil, peanut oil, safflower oil, sesame oil, cashew butter, shortening, and hydrogenated oils. Fruits that should be avoided on the type A blood type diet include bananas, plantains, tangerines, oranges, mandarins, honeydew, cantaloupe, rhubarb, mango, papaya, coconut, blackberries, strawberries, and juices like orange, tomato, and papaya. 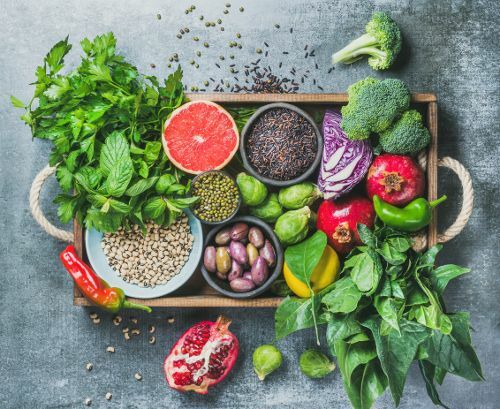 Although many vegetables are a good thing on the type A blood type diet, certain ones to avoid include domestic mushrooms, shiitake mushrooms, eggplant, tomatoes, cabbages, yams, sweet potatoes, potatoes, olives, and peppers. Nuts that should be avoided include cashews, Brazil nuts, and pistachios. Spices, condiments, and herbs on the avoid list include relish, capers, vinegar, black pepper, white pepper, cayenne pepper, plain gelatin, ketchup, pickles, Worcestershire sauce, mayonnaise, wintergreen, catnip, cornsilk, red clover, and yellow dock. Beverages the type A blood type diet will avoid include soda, diet soda, seltzer water, distilled liquor, black tea, beer, and club soda. It is also recommended to avoid white sugar, corn syrup, and processed flavors, colors, and preservatives. The following is a comprehensive chart for the blood type A diet that includes foods you should eat and avoid. A Positive Blood Type Diet: What Do Studies Say? One of the central theories of the blood type diet is associated with proteins called lectins. These are considered anti-nutrients, and they may have a negative impact on the gut lining. The blood type diet theory claims there are lectins in the diet that target different ABO blood types. Eating the wrong types of lectins is thought to lead to the clumping together of red blood cells. Although some evidence suggests that raw lima beans may interact with red blood cells in blood type A individuals, overall, the majority of agglutinating lectins react with all ABO blood types. In other words, lectins are not specific to a blood type aside from a few raw legumes. What about research on ABO blood types and diet? There is strong evidence that people with certain blood types can have a lower or higher risk for various diseases. For instance, those with blood type A are more likely to have a higher risk for microbial infections. That being said, women with type A blood are likely to have a higher rate of fertility, too. However, no studies show that this has anything to do with your diet. One large study published in the journal PLoS One of 1,455 young adults eating a type A diet with lots of fruits and vegetables was associated with better health markers. But, this effect was seen in everyone following the type A diet and not just those with type A blood. A major systematic review published in The American Journal of Clinical Nutrition in 2013 examined data from over a thousand studies and did not found a single well-designed study looking at the benefits of the blood type diet. The researchers had concluded that no evidence exists to validate the health benefits of blood type diets. In other words, from the studies somewhat related to ABO blood type diets, they were all poorly designed. One study from 2009 that found a link between blood types and food allergies had also contradicted the blood type diet’s recommendations. Is the A Positive Blood Type Diet Right for You? If you are blood type A positive, does that mean you shouldn’t try the blood type A positive diet? I suggest trying the blood type A diet and see if it works for you. As a holistic nutritionist, I believe that no one knows their body better than you! Although it might not be related to blood type, many people have experienced positive results on the blood type diet. As a result, if you tried the blood type diet and it worked for you, don’t let the lack of research on the diet stop you from eating that way. Don’t skip meals, and eat more protein at the beginning of the day and less at the end of the day. Chew food to enhance digestion, eat smaller and more frequent meals, and don’t eat when anxious. Establish a daily schedule. It may include going to bed no later than 11 p.m., getting at least eight hours of sleep, and not staying in bed once you wake up. Take at least two 20-minute breaks while working where you can mediate, walk, stretch, or perform deep-breathing exercises. Also, engage in a calming exercise like yoga around three times weekly. “Blood Type A,” Dadamo; http://www.dadamo.com/txt/index.pl?1003, last accessed Oct. 27, 2017. “Blood Type and Your Health,” Dadamo; http://www.dadamo.com/txt/index.pl?1001, last accessed Oct. 27, 2017. “Blood Groups and Red Cell Antigens,” NCBI Resources; https://www.ncbi.nlm.nih.gov/books/NBK2267/, last accessed Oct. 27, 2017. Cusack, L., et al., “Blood type diets lack supporting evidence: a systematic review,” The American Journal of Clinical Nutrition, May 22, 2013, 98(1): 99-104, doi: 10.3945/ajcn.113.058693, last accessed Oct. 27, 2017. “Popular diet theory debunked,” University of Toronto; https://www.utoronto.ca/news/popular-diet-theory-debunked, last accessed Oct. 27, 2017. Wang, J., et al., “ABO Genotype, ‘Blood-Type’ Diet and Cardiometabolic Risk Factors,” PLoS One, Jan. 2014; 9(1): r84749, doi: 10.1371/journal.pone.0084749, last accessed Oct. 27, 2017. .
Yamamoto, F., et al., “ABO research in the modern era of genomics,” Transfusion Medicine Reviews, April 2012; 26(2): 103-118, doi: 10.1016/j.tmrv.2011.08.002, last accessed Oct. 27, 2017..
Power, L., “Biotype Diets System: Blood types and food allergies,” Journal of Nutritional & Environmental Medicine, July 2009, 16(2): 125-135, doi: 10.1080/13590840701352807, last accessed Oct. 27, 2017.